The Village of Rosemont has created a thriving mecca of tourism, entertainment and convention and trade-show business, attracting visitors from around the world. Incorporated in 1956, and conveniently located five minutes from O’Hare Airport and twenty minutes from Chicago’s downtown, the entertainment suburb hosts an average 75,000 visitors a day. Residents and visitors alike enjoy all the amenities for which Rosemont is known, including the Donald E. Stephens Convention Center, a wide variety of hotel and dining options, the Allstate Arena, Rosemont Theatre, the lively entertainment district MB Financial Park and the new Fashion Outlets of Chicago. The residential community of Rosemont is a gated community. 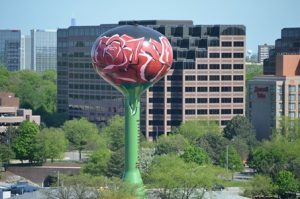 Rosemont is approximately 2.5 square miles, 25 percent residential, 75 percent commercial/industrial. Forest Security is proud to be family owned and operated for nearly 40 years! We have served Rosemont and the entire Chicagoland Area for decades. To ensure both safety and convenience, Forest will completely customize your complete security and home automation system and offer you several security and convenience options. Your unique system is guaranteed to be the perfect fit for both your lifestyle and your budget. Whether you live in an apartment, condo, townhouse or single family home, Forest has the right solution for all your security needs. Your full satisfaction is top on our priority list. Our Security Specialists along with our excellent Customer Service Representatives and our highly trained Technical Staff, work in unison to ensure your security and complete peace of mind.